Which teams will be participating in the 2018 World Cup? Which are the up-and-coming players to watch out for? What will the coaches’ strategies be, or what will the games in Russia look like? Soccer enthusiasts don’t have to look further to find answers to these questions. THE World Cup 2018 Book is a fun, informative guide to the soccer World Cup in Russia. The book provides all the information anyone would want to know about the World Cup, including in-depth detail about all 32 teams—the players, coaches, their histories, and strategies—and background information on each Russian stadium that will host a game, past World Cups, along with a look at FIFA (the organizing body of the World Cup). SKU: ZM51331. Categories: Sports & Recreation, Soccer. Tags: analysis, FIFA, football, soccer, World Cup, World Cup 2018. Which teams will be participating in the 2018 World Cup? Which are the up-and-coming players to watch out for? What will the coaches’ strategies be, or what will the games in Russia look like? Soccer enthusiasts don’t have to look further to find answers to these questions. THE World Cup 2018 Book is a fun, informative guide to the soccer World Cup in Russia. The book provides all the information anyone would want to know about the World Cup, including in-depth detail about all 32 teams—the players, coaches, their histories, and strategies—and background information on each Russian stadium that will host a game, past World Cups, along with a look at FIFA (the organizing body of the World Cup). Not only will readers find information on the current teams and playing conditions, but they will also gain a bit of insight into the history of the World Cup. Through detailed descriptions and fun anecdotes, author Shane Stay will make soccer fans feel as though they are there at the Cup. 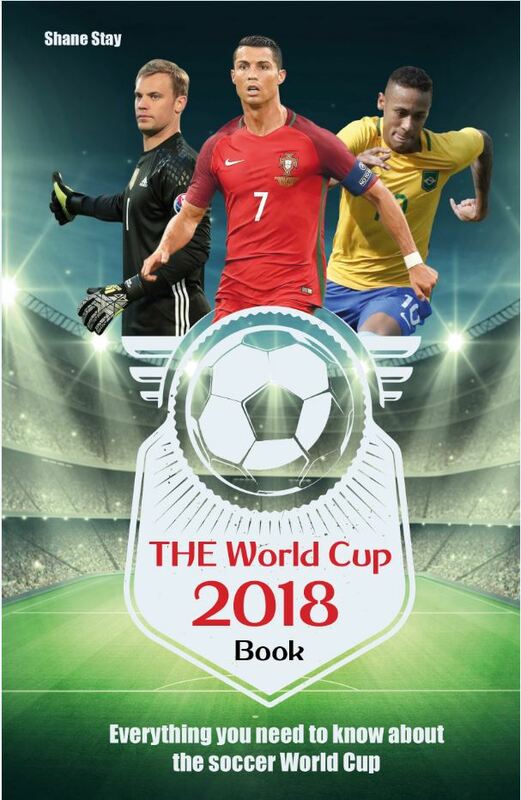 Experience the World Cup with THE World Cup 2018 Book and know all there is to know about the 2018 soccer World Cup! Shane Stay is the author of Why American Soccer Isn’t There Yet and The Cairo Project, whose stories have also appeared in various online and print publications in the genres of sport, humor, and modern culture. Prior to this publication, he co-authored a print book, published a magazine story, bottled Leaf Dressing, worked clubs as a comedian, played professional soccer, was restaurateur, and received a Master of Arts. He has appeared on TV and featured on numerous radio broadcasts including ESPN and NPR. He lives in Chicago, Illinois. The exercises in 248 Drills for Attacking Soccer are designed to teach your players’ to make exact evaluations in critical moments and look for suitable solutions without prescribing to be prearranged strategy. Soccer is a game of reaction, the match cannot be scripted. Intelligent, creative attacking play is essential in overcoming the ever changing defensive schemes in the game today.